Exquisitely smooth with sweetness to match. This is the final tea from my staycation at Capella Singapore earlier this year. 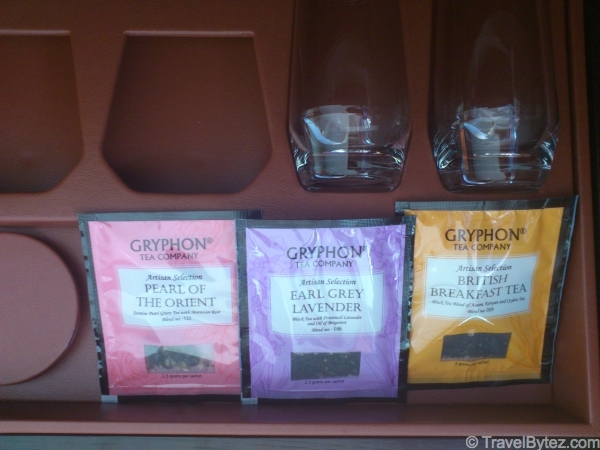 The tea is encased, as with all teas from Gryphon Tea Company, in a silken tea sachet which allows the tea to permeate the boiling water; bringing out the flavor. I found the British Breakfast Tea to be the least exciting amongst the previous two that I tried: it was not as interesting as the Pearl of Orient and less 'exciting' than the Earl Grey Lavender. 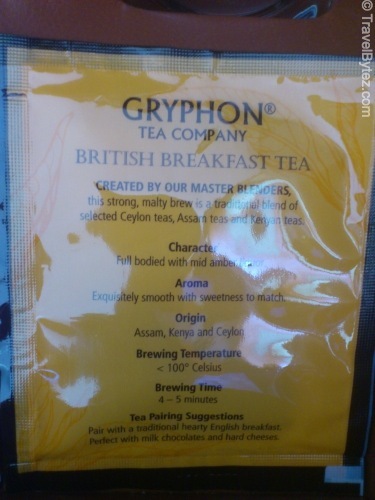 When you take a sip of the British Breakfast Tea, the Ceylon tea taste is followed by the flavors of the Assam and Kenyan teas. It has a smooth texture with a mild malty sweetness to it. The tea had less natural sweetness to it than the Earl Grey Lavender, having a slight bitter aftertaste. Despite its smoothness and full bodiedness, it wasn’t one of my favorites; it was seemingly ordinary (but than again I am no tea expert). After 5 minutes, there was not much of an aroma left but the brewed British Breakfast Tea did have a strong and intense flavor. This tea tastes much better with sugar and/or cream; it has a slightly better aftertaste without the sugar.